As a green blogger, I am constantly testing out new products and trying new things. BUT, there are certain products I go back to again and again, products that withstand the test of time because they just work. 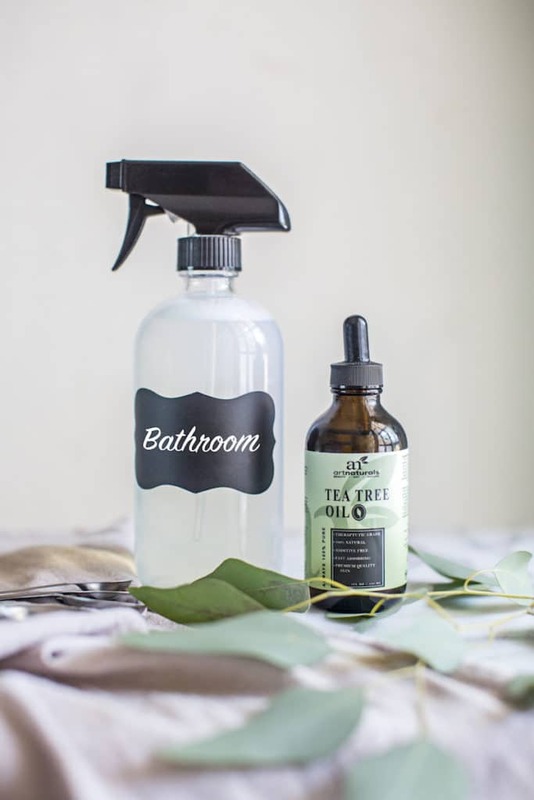 When it comes to green cleaning, I usually make my own products and have tons of DIY Cleaning recipes that are easy, cheap and effective! But in a pinch, I do rely on storebought cleaning products and try to find those that are as eco-friendly, natural and effective as possible. I typically buy green cleaning products from Amazon or Thrive Market. Though I’ve been recently turned onto two different all-natural cleaning concentrate lines that I’m completely enamored with. The first is Supernatural. Admittedly, this is a pretty expensive splurge, but the packaging is easily the most beautiful I’ve ever seen, the products are made with super-effective essential oils (read: they smell amazing) and potent plant-based ingredients, as in they’re the kind of toxin-free household products you can actually feel good about using, and the reusable bottles are great for the environment! You could also save $35 and just use your own bottles and buy their concentrates, which include one for the bathroom, one for glass, one for wood, and one for countertops. Get 4% cash back when you shop through Ebates. The second line of concentrates is much more affordable, but not quite as clean and pure ingredient-wise, though still far and above conventional cleaning products. 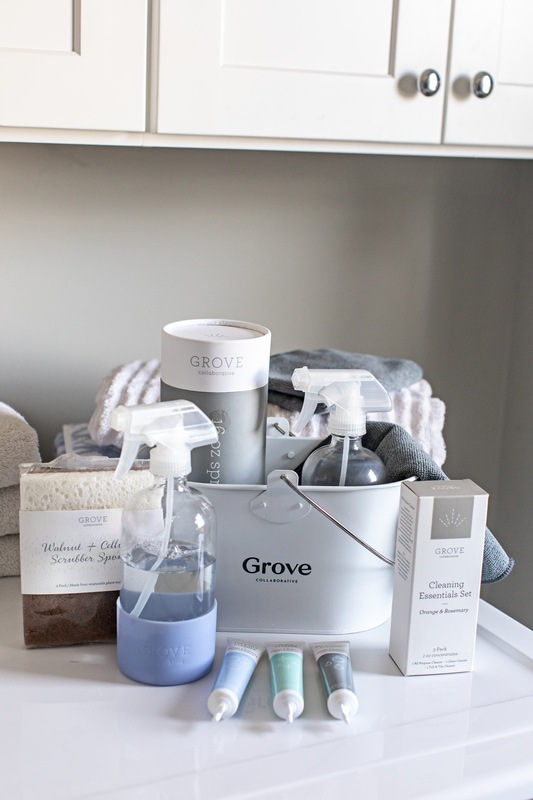 Grove Collaborative’s concentrates are formulated with plant-derived ingredients and scented with 100% natural essential oils, and work like gangbusters. They’ve got an All Purpose Cleaner, Glass Cleaner, and Tub & Tile Cleaner, all for just $7.95. PLUS, use my link to get a FREE Cleaning Concentrates Bundle, which includes Grove Cleaning Concentrates (3 pack), Grove Glass Spray Bottle, Grove Caddy, Grove Walnut Scrubber Sponges, Free Shipping & VIP Trial! Alright, if neither of those are for you, or you’re looking for a specific product, here are the non-toxic products that are currently part of my green cleaning routine, as of February 2019. Steam Mop: Light’n’Easy 5-In-1 Electric Floor Mop–it’s a Floor Steam Cleaner, Handheld Garment Steamer, Carpet Cleaner, and Window Cleaner! Vacuum: You know you’re old when you get so excited about a vacuum. But the Shark Rotator TruePet Upright Corded Bagless Vacuum is truly amazing and gets up pet hair around the house like nobody’s business! Dishwasher Detergent: I used to use Seventh Generation, but noticed a film left on our glasses. I recently switched to Nature Clean Automatic Dishwasher Pacs and have been very pleased! Glass Spray Bottles: Sally’s Organics Glass Spray Bottles are glass, white and chic! Laundry Detergent: Grab Green Natural 3-in-1 Laundry Detergent Pods, Lavender with Vanilla or Molly Suds Laundry Powder. Dryer Sheets: These are so incredibly toxic, and I made the switch years ago to DIY Wool Dryer Balls and have never looked back! Bleach: Since I never use bleach in my house because it’s so toxic, I love these Grab Green Natural Non-Chlorine Bleach Alternative Pods. Stain Remover: White Vinegar. Yes, really. This works as well as any stain remover I’ve tried. I usually pour vinegar directly on the stain to spot treat. And for really tough stains, I’ll scrub some Dr. Bronner’s castile soap into the stain as well. Works like a charm, I swear! Kitty Litter: This is the litter box we use, and I haven’t found a good natural cat litter, so we use Arm & Hammer Multi-Cat Clump & Seal Clumping Litter. But to control odors, we love NonScents Cat Litter Deodorizer and then the Litter Genie has made the actual act of scooping poop so much easier! We use these Litter Genie Ultimate Cat Litter Odor Control. Car Cover: To keep my car clean from Finch’s never-ending stream of drool while she’s in the car, I love the BarksBar Original Pet Seat Cover for Cars. 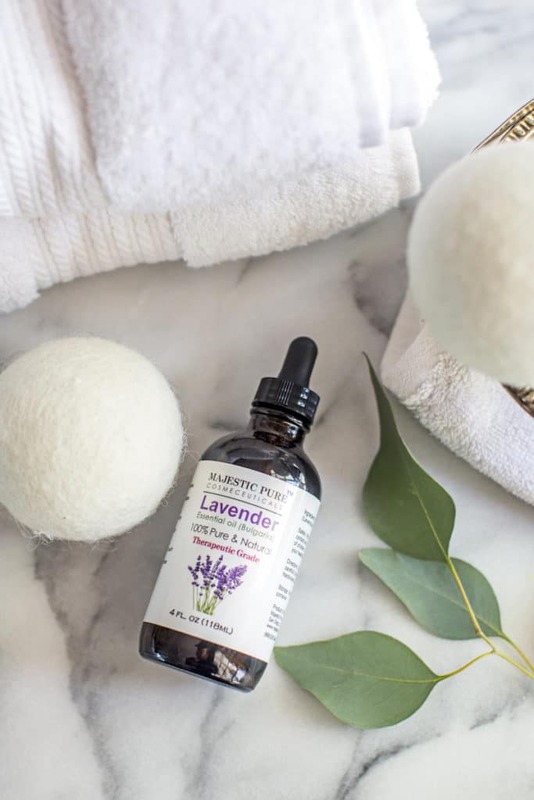 **Note: While most of my cleaning products are natural, safe and non-toxic products, I’m a firm believer in balance and I’ve found that natural living doesn’t have to be all or nothing in order to have a profound impact, both on your health and the environment. And so there are a few traditional products that I’ve gone back to, even though they’re not the “greenest” or “cleanest”. My goal is to reduce my toxic load where I can, not be perfect. Disclaimer: This post includes affiliate links, and I will earn a commission if you purchase through these links. Please note that I’ve linked to these products purely because I recommend them and they are from companies I trust. There is no added cost to you.